Central Montana’s rivers, streams, and lakes boast a variety of fish, including northern pike, walleye, perch, catfish, trout, and big- and small-mouth bass. In fact, the Missouri and Smith Rivers are internationally known as blue-ribbon trout streams, featuring a mix of rainbow, cutthroat, brook, brown trout and whitefish. The Missouri also supports sturgeon, sheepshead, goldeye, burto, sauger, and roughfish. 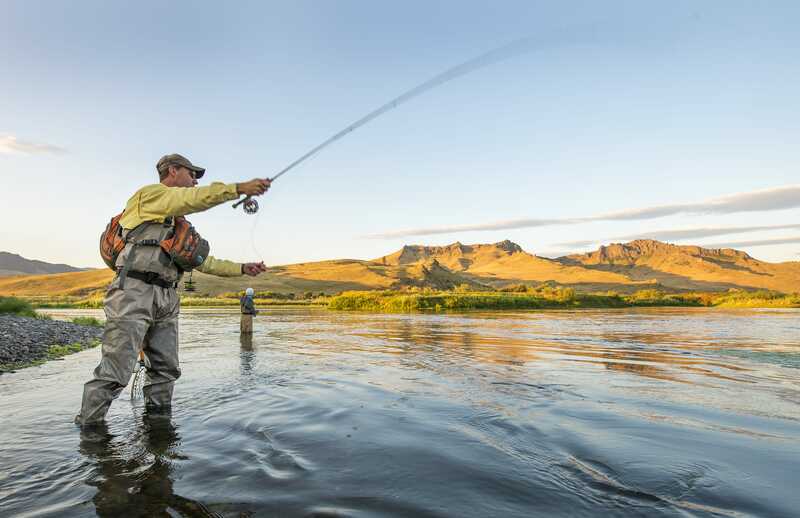 All our rivers offer excellent fly-fishing, but perhaps the Missouri, running through the heart of Great Falls, promises the most varied opportunities, from the trout-rich runs below Holter Dam to the National Wild and Scenic float downstream from Fort Benton. You can access the river from several fishing access sites or have an outfitter guide you. Whether you’re an experienced fly fisher or you’ve never tried the sport, a variety of local outfitters can provide you with a great fishing experience. Outfitters are available if you choose to have some local experts assist in your adventure.